What is the Facilitation Directive? In 2002 the EU adopted a Directive to identify what is meant by facilitation of the entry, transit and residence of undocumented migrants in the EU. The Facilitation Directive (2002/90/EC) states that anyone who intentionally assists an undocumented migrant to enter or transit across the EU is breaking the law, as well as those who profit financially by helping undocumented migrants to reside in the EU. In many cases, this means organised smuggling rings, employers or landlords who seek to exploit undocumented migrants’ vulnerable position. In addition, more and more responsibility is being placed on service providers to report undocumented migrants, putting them in difficult situations that could lead to the suppression of moral conscience, financial penalties and arrest. Service providers should not have to bear the burden of acting as immigration officers. Learn more in our handy infographic! Manuel Blanco is a Spanish fire fighter. He and his colleagues Julio Latorre and Enrique Rodriguez are part of the NGO PROEM-AID and have been volunteering on the Greek island of Lesbos since 2015. Together with the Greek authorities, they had been working to save the lives of migrants and refugees in danger at sea. But in January, Manuel, Julio and Enrique were arrested. Because they have been pulling drowning men, women and children to safety, they have been accused of people smuggling. Because of the Facilitation Directive, Manuel, Julio and Enrique now face up to ten years in jail. Read more about the state of play of the Facilitation Directive and case studies. The Facilitation Directive should be changed to say that those who provide services of humanitarian assistance to undocumented migrants without a profit-making motive shall not be criminalised or punished (it currently states that they “may not” face sanctions). Service providers should not have to report undocumented migrants they encounter when providing humanitarian assistance. In cases of abuse and exploitation of undocumented migrants, systems for reporting should be developed that protect both the service provider and the undocumented migrant. Read our full policy position here. 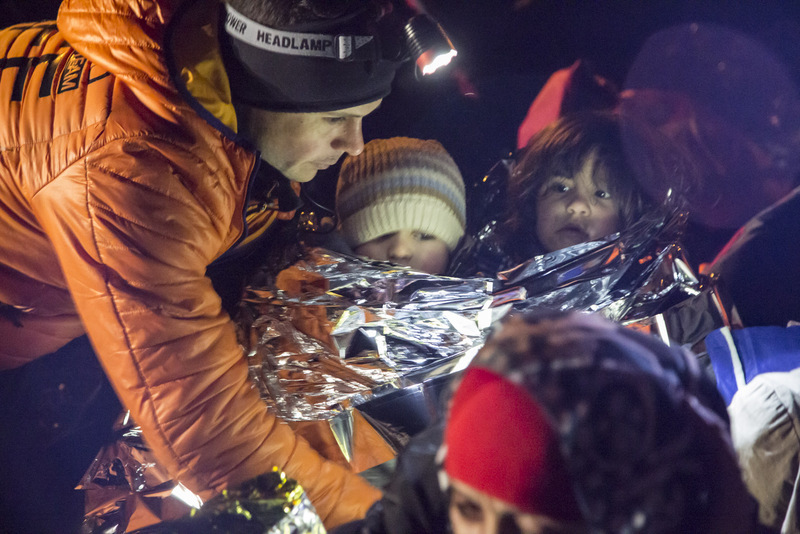 Despite a European Parliament report echoing many of our concerns and a European Commission impact assessment and public consultation, in early 2017 the Commission proposed not to revise the Directive; it believes there is currently not enough evidence that humanitarian assistance is being punished by Member States. Even though the Commission has decided not to ensure protection for people like Manuel, Social Platform and our allies will continue to campaign for the decriminalisation of solidarity. Do you work for a not-for-profit organisation providing services and have felt pressure to exclude undocumented migrants from the services you provide? Have you experienced any form of sanction due to the delivery of services to an undocumented migrant? Have you had to conceal your activities to avoid sanctions in order to be able to provide your service to an undocumented migrant? If so, we want to hear from you. You can also add your signature to this petition we run in partnership with WeMove.eu.